The following Community organizations and resources are listed with the purpose of 100% of our church family engaging personally, or as a family, or a LIFEgroup, or as friends. Our vision as the Bethesda Church family includes Living on Mission and in so doing we extend the hope of Jesus who is transforming the world. The first six agencies listed serve in Jesus’ name in response to the gospel. Prayer — so important in all we do. For protection, provision, safety, that God will be praised, that women considering abortion will hear us out, that our parents will break the cycles as they come for education and support, for the volunteers, for the board, for the staff. Board members — currently looking for a couple more as 2 are leaving after their term is up. For volunteers who can serve with their specific gifts (i.e. our treasurer is an accountant who gives us his time). Donate — financial gifts, furniture, baby and maternity clothing, diapers, wipes, etc. Walk at the event every September. Be there for a single parent you know — encourage, mentor, shovel their snow, give them childcare sometime. Mission statement: Dedicated to helping those in need with respect and dignity. We seek to meet the needs of those who are not able to find housing, clothing and other basic needs to survive. We also seek to connect people in need with other resources. Beyond meeting the physical needs of people, we are there to offer prayer, a compassionate ear, a human touch and our friendship. We are a ministry that works with those who tend to fall through the cracks. Donations of clothing and other goods (backpacks, hygiene items, sleeping bags, etc.). 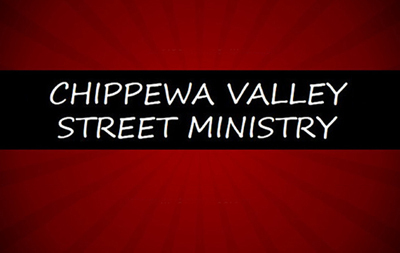 The ‘most wanted’ list is available on the website (www.chippewavalleystreetministry.org) and often on our Facebook page. Items may be dropped off at Lutheran Church of the Good Shepherd, 1120 Cedar St, EC Mon–Thurs. 8 am–3:30 pm and Fridays 8 am–11:30 am, or make arrangements by calling Pastor Mike. City bus passes and/or gas cards (Kwik Trip, Holiday) to help our friends get to work and to appointments. Transportation is often difficult. Food cards (Subway, McDonalds, etc.) which help sustain those who are working and/or unable to eat regularly in other places. Financial donations to help us keep people safe (especially women) and to give people a break from their life on the street. We occasionally are able to provide a night in a motel if we have available funding. Financial donations also help keep the Street Ministry vans running. Volunteers to distribute clothing and snacks. We distribute on Tuesdays and Fridays from 5:30–7 pm in the city parking lot across from the Sojourner House on Barstow St. Regular volunteers may choose to be personally involved in friendship and mentorship of those we serve. It’s great if we know ahead of time if you’d like to join us during distribution. We have, at times, had groups bring food (chili, or hot chocolate, for example) to share during distribution. This can be arranged by contacting Pastor Mike. Prayers for our street friends, our volunteers, and our community are always appreciated. Provides transitional housing, support, and empowerment to men with histories of incarceration, homelessness, and addictions. Give a scholarship or donation to cover one month or more’s rent for individuals who need some help starting out. You can commit to giving each month, to assist individuals coming out of jail/prison or off the street. Share Choose Aftercare information with people in your church who may have a need or may know people who have a need for housing. 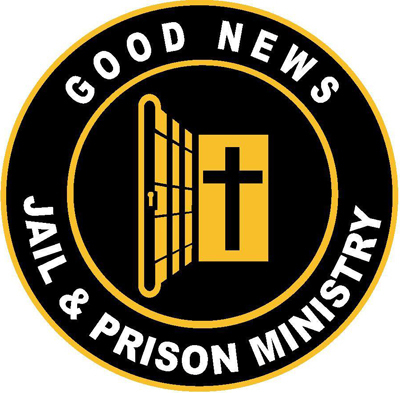 The work of Good News Jail & Prison Ministry is to plant and build the church of Jesus Christ around the world. Our work takes us to places most would never consider – jails and prisons – where we are seeing God do amazing things in the hearts and lives of men, women and children behind bars. Keep a chaplain behind bars and provide the resources to reach men and women in need. Vision Statement: To reach every inmate in the world with the Good News of Jesus Christ that they might become growing disciples. That God would help meet the needs of each resident who enter into the doors of Hope Gospel Mission, those who suffer from addiction, mental illness, physical limitation, and broken hearts. That God would help the staff to grow to teach the residents to have the ability to move past their “limitations” to be the men and woman that God originally designed them to be. Spiritually assisting resident to grow in their faith and trust in God. provide services to our neighbors here in the Chippewa Valley. Vision statement: Since 1993, The Community Table has been nourishing hungry bodies and spirits in the Eau Claire Community by serving one meal each day, 365 days a year on a no-questions asked basis. Anyone can join our table during meal time. Approximately 140 meals each day. Meets basic needs of serving a daily meal and safety. Connection – We are always looking for new partnerships that enable us to expand our reach to those in need. Words – Help us educate and share the message of those in need. Many wonderful people don’t understand that even during a time of a better economy, that there are still so many who struggle. In addition, it’s important to share how many wonderful nonprofits there are who can provide help in many different ways. Time – Feed My People has a tremendous amount of diverse volunteer opportunities. Bethesda already has a regular volunteer group that comes once a month. Thank you! In the past you have also packed kids meals with youth and others. We always have need! Financial – like all nonprofits, this is always a need. We are tremendously grateful for your support of Lakeshore. It truly has enabled us to expand our program to other schools. Food – if you are ever interested in a food drive, I would suggest you talk with us to figure out how to make the most out of this. Ideas are to do a peanut butter drive or a drive for personal care items.